This week, the Dutch courts will decide if a court case brought by British nationals in the Netherlands who want to keep their European citizenship should be referred to the EU courts. But, whatever happens, the Netherlands can play an important role in making sure the rights of British citizens in Europe are protected after Brexit, writes Sarah Parkes of the British in the Netherlands group. Some 85,000 British citizens currently live in the Netherlands. Our number has been growing since the early 1930s and we hope, post Brexit, that we will be able to maintain our good relationship with the Dutch, can continue to contribute to the Dutch economy and, of course, to Dutch society. Whilst the UK government has been paying attention to the details of how the three million EU citizens can continue their current lives in Britain, they have given little attention to the estimated 1.3 million British citizens resident in the other 27 EU countries. Indeed, some of us could not even vote in the 2016 referendum to try to protect our EU citizenship. We have many questions about how our lives will look post Brexit that so far, no-one has answered. Will we have to apply for a Dutch work permit as a non-EU citizen? Will cross-border workers, as non-EU citizens, be able to work in neighbouring countries based on their Dutch residence permit? How will the self-employed manage if they no longer have an automatic right to run a company in the Netherlands? A few British retirees, and those who shall retire in the future, have not lived in the Netherlands for the necessary 50 years to benefit from a full state pension. At the moment, they can top that up to a living income by claiming state financial assistance. But will they still be able to do this when they are no longer EU citizens? And what about the rights of British nationals who lose their jobs or become unable to work through ill health? Will British citizens, who have made their lives here and no longer have ties in the UK, still have the security of unemployment and invalidity benefits post-‘Brexit’? Family life is another issue. We are all aware of cases where non-EU citizens who become divorced from a Dutch national have been told to leave the Netherlands because they no longer have the right to remain. But what will happen to British nationals in the future, if they divorce their Dutch partner? And what will happen to British citizens with the right to permanent residence if they have to work abroad for a while or return to Britain to care for a terminally-ill relative? Will British children, resident in the Netherlands have to pay the same fees as people from China or the US if they choose to pursue a university education in the Netherlands? Will they, as non-EU citizens, still have easy access to the Erasmus scheme if studying at a Dutch University? We assume that post-‘Brexit’ British citizens will be required to take the inburgering exams because they will no longer be exempt as EU nationals. But will this apply to people who have lived here for 10 or 15 years? We understand that by taking Dutch nationality many of our potential problems may be solved, but it is not a uniform solution. The Dutch reluctance to accept dual nationality is also a major stumbling block. Only a few of us qualify to become Dutch by option, without having to hand back their British passports. Most of us would need to become Dutch by naturalisation and rescind our UK nationality. This may have profound consequences when we retire or if we have to return to the UK for a while. Germany allows for dual nationality if the person is a citizen of another EU country or of Switzerland. Surely a similar model could be adopted in the Netherlands which includes British citizens or even just British citizens who formerly held EU citizenship, and were resident in the Netherlands before the official withdrawal of the UK from the EU? The government coalition agreement includes a clause to modernise the rules on dual nationality. We would urge MPs and ministers to act on this. And in Brussels, Dutch MPs and MEPs are in a strong place to represent the views of the British in the Netherlands. Dutch MEPs are, after all, our representatives because as EU citizens, many of us were able to vote for them in the last European elections. Given that Brexit is set to take place in March 2019, we will be without a voice altogether in May 2019. Sarah Parkes has lived in the Netherlands for 18 years. 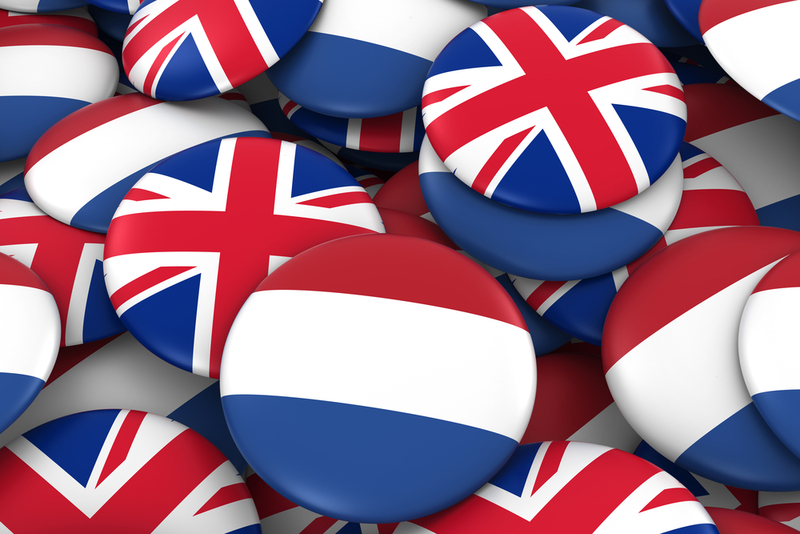 British in the Netherlands is affiliated to the British in Europe organisation who actively campaign for the rights of UK citizens in the EU and supports EU citizens in the UK.